This is an online-based library with direct access to content and no download required. All games can be played from smartphone and tablet browsers. In addition to regular currencies, deposits and withdrawals are accepted in Bitcoin. Content is delivered by BetSoft, Nucleus, Parlay Games and a few other well-known developers. In general, all game cohorts – from slot machines and table games to arcades and video poker are available. The library also has access to the live lobby with a real dealer action. Established in 2018, this instant online operator opens doors to visitors around the world. It is licensed and regulated by the jurisdiction of Curacao. As to the owner and managing company, these details are currently unknown and we are checking the information. All content and services at BigSpin are available in English. By the time we were ready to roll out our report, there was still not enough data about incoming traffic to sum up where the majority if visitors come from. We can state for sure, though, that members from countries like the USA, South Africa and other territories with challenging jurisdictions towards online wagering are welcomed here. Normally, in such countries, the in-house laws would regulate access of residents to offshore virtual gaming venues by restricting local banks from processing payments. However, with a crypto-wallet connected to this platform, using real cash for placing stakes should not be a problem. For any of our readers familiar with the BTC concept but not aware how exactly to use it we have developed a convenient Guide to Crypto Currency Gaming. The library itself is powered by licensed and regulated BetSoft and Nucleus software. All content is available in the browser-based mode for desktop and portable devices. No apps for iOS or Android have been developed so far. The process of registering is quite fast and simple. Only one step is required, before depositing and real money gaming becomes available. Should there be any questions, help desk representatives will solve them via e-mail or phone. As little as USD 25 is accepted for depositing, and in addition to US dollars only Bitcoin can be used as an alternative currency. Group of e-wallets is represented only by Bitcoin. Card selection boils down to Visa and MasterCard. Offline wire transfer is another alternative. Such types of bank transfer as ACH for the United States, and Person 2 Person can also be used. This is a website mostly for low rollers judging by its daily and monthly withdrawal limits. Up to USD 5,000 can be claimed for cashing out within a single transaction, and a monthly limit is USD 20,000. Those who claim cash to e-wallets should expect to receive it within 24 hours. On average, though, some winners report that it took not one, but about three business days to receive transfers. We didn’t find much feedback online – neither positive nor negative. We believe most of it is due to the fact that the location was still relatively new when we were evaluating it. Among other gaming portals, only our colleagues at LCB assessed BigSpin’s services. Summing up votes from their readers, the team published a rating of three out of five. Possible Promotions: Sign-ups, reloads, monthly deals and referral offers are among options. Bonus Codes: Each proposition comes with its coupon code that is always mentioned in the bonus information. Wagering Requirements: These may vary from offer to offer, but at least 30xBD is applied. Newly registered accounts can explore a welcome deal option. 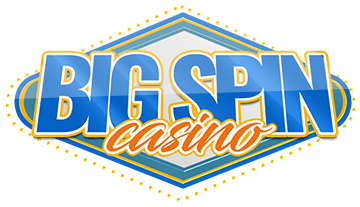 It is usually a cash match on the initial deposit, amount of which is higher than the average minimal deposit accepted at BigSpin. Other terms and conditions apply. As to the regulars, they can refer friends and claim a special referral bonus, or use daily and monthly reloads, participate in tournaments, or study seasonal promotions. All of the deals come with the T&C that we strongly recommend to read before claiming offers. BetSoft, Concept Gaming, and Parlay Games are among content suppliers here. Unlike the usual mono-software platforms targeted at countries like the USA, here even the live dealer is available. Live lobby is represented by blackjack (including Early Payout modification), roulette, and baccarat. Over forty releases are available here, and the list includes classic, video, 3D and progressive slots. Among many hits are titles like Ogre Empire and Blood Eternal by BetSoft, Hollywood Reels and Gold n Gems by Concept Gaming, Eastern Promises and Reels of Rome by Parlay Games, and more. Roulette is represented by live, VIP, American and European modifications. Among blackjack types are variants like European, Multi Hand, Super 7, Pirate 21, Pontoon, American, live, and Single Deck. Table pokers are available in Oasis, Poker 3 Heads Up Hold’em, Top Card Trumps, Triple Edge, Pai Gow, Ride’m, and Three Card Rummy variants. There is a good selection of video poker games, including Jacks or Better, Double Jackpot, All American, Split Way Royal, Five Draw, Deuces Wild, Deuces Joker Poker, Bonus Deluxe, Aces and Faces, and many others. Baccarat, Craps, and several other table games also represent the cohort.